The rise in popularity of tablets will bring back a focus on creativity -- rather than technology -- when it comes to online advertising, according to IAB President and CEO Randall Rothenberg. He believes 2012 will become a breakthrough year for ad creativity and digital content. Rothenberg calls the movement a "cultural breakthrough," meaning the ads will go direct to the tablet, rather than start on TV or print in magazines and be repositioned to fit on a tablet. These ads, designed for consumption on tablets first, will have a cultural impact on society, similar to Spy magazine in the late 1980s. Upping the ante, creative ads on tablets should also increase the average order value that RichRelevance estimates at $120 on mobile devices for mid-December, compared with $110 on desktops. The findings come from the Holiday Shopping Study analyzing shopping patterns of more than 3.4 billion online shopping sessions of U.S. consumers since April 1. Bring behavioral targeting -- which remains in its infancy -- into the mix, and advertisers can expect to see more data-driven ads. For the most part, BT has been applied to direct response and promotional advertising. 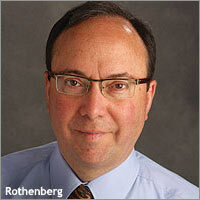 It hasn't quite made it into brand advertising -- "either by targeting or audience messaging, or both," Rothenberg said. In 2012, Rothenberg believes technology will target ads to audiences "out of context" and merge the strategy with data-driven ad buying. Rather than Kraft placing an ad for mayonnaise around content related to food or recipes, the brand might buy audience segments too, merging the two types of media-buying strategies. He expects this strategy to become popular, especially with consumer packaged goods companies. He expects to see more brands to combine relevance and analysis through data-driven and contextual advertising. Next year will become a breakthrough year for brand advertising, Rothenberg said. He does, however, point to one major concern that may lead the industry down a wrong path. "I've always been concerned the industry tends to get caught up in its own jargon," he said. "We end up being so focused on technology driven by things like venture capital investments and IPOs that we explain things in a way that's far too complicated for customers to understand." He is concerned that the ad industry will go down that path again, as investments and interests in the ad technology sector pick up steam. Rothenberg believes the ad industry should "ban" words or descriptions, such as "demand side platform," and stop creating acronyms like DSP or SSP, which he believes are meaningless to chief marketing officers. It's more important to explain what these companies do rather than create new words or acronyms.